Footwear and accessories retailer Rieker showcases its Autumn/Winter 2018 collection in a dedicated ad. The spot focuses on footwear, featuring only the legs of the models who are rocking the respective styles and showing off dance moves to the rhythms of a remix of “Habanera (Theme)” by Diner Au Motel. Navy and multi-coloured ankle boots, featuring soft vibrant woolly trim around the ankle with contrasting stitching and brown decorative strap, ladies red zip up ankle boots with adjustable laces and interesting flower velour flower pattern underneath the laces and around the upper ankle, men’s smart lace up shoes with brown trim piping detail, ladies black combination zip up ankle boots with decorative eyelets, button studs and zip are some of the styles featured throughout the ad, which ends with the company’s tagline, “Life Feels Better in Comfortable Shoes,” flashing across the screen. 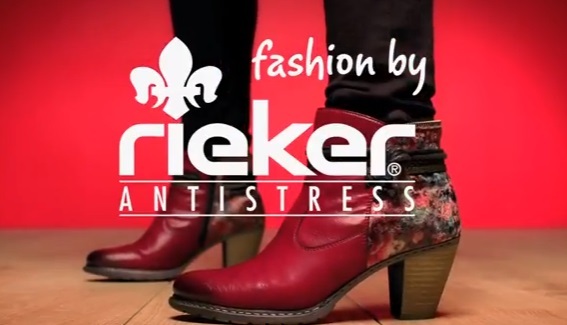 The Rieker shoes selection includes a huge variety of footwear for men and women designed to perfectly balance fashion and practicality. The brand, named Brand of the Year at the Footwear Industry Awards 2018, has even created its own technology, Rieker Antistress, to ensure that every pair of its shoes comes “with the best level of support, flexibility and durability”.